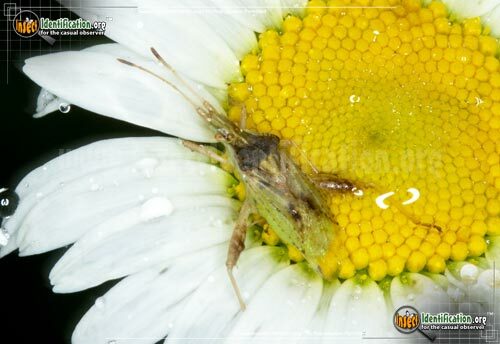 Detailing the physical features, habits, territorial reach and other identifying qualities of the Scentless Plant Bug. 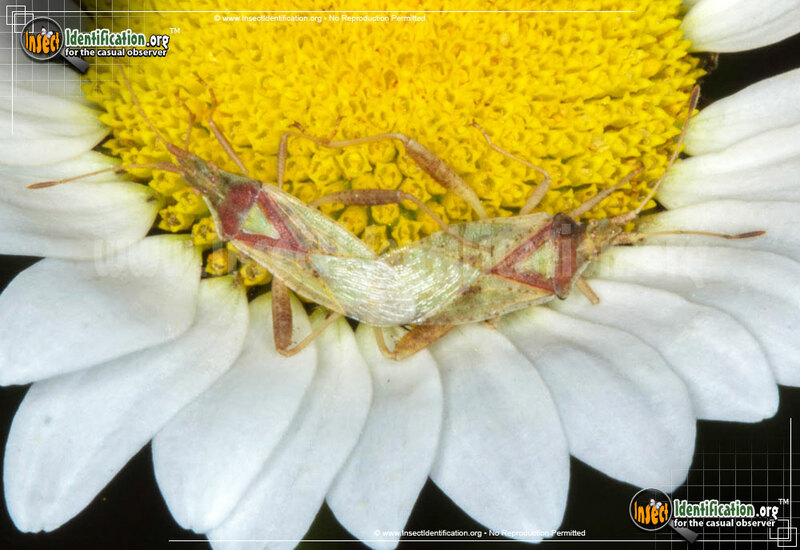 Odorless, but conspicuous, Scentless Plant Bugs love everything about the kinds of plants that most people consider weeds. 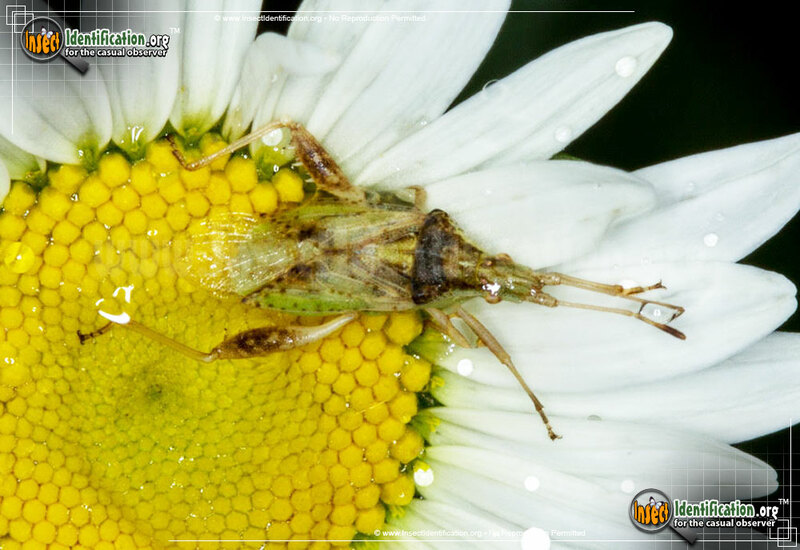 Scentless Plant Bugs are a small family of plant bugs that lack glands that can produce foul odors. They are True Bugs, not beetles. Many are green, brown, or a mix of various colors. They can fly, but they do not sting or bite. The hindlegs have thicker 'thighs' than the first four legs. Long, oblong bodies have short elytra (wing coverings). This allows the tips of the transparent wings to be visible near the end of the abdomen. The top of the abdomen sports a triangle-shaped area. In many species, colors change as individuals mature. Scentless Plant Bugs live and feed on weeds. One species feeds on boxelder bushes. Certain species of Scentless Plant Bugs are well-known, like Boxelder Bugs, but most of these insects could use more research into their life histories and habits. 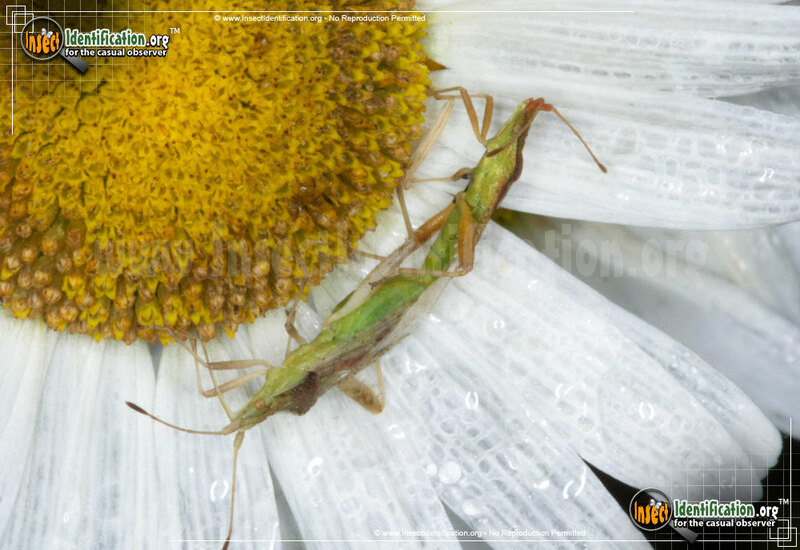 Look for various types of Scentless Plant Bugs on the leaves and flowers of weedy plants in fields and lots.